We all wish to stay close to mother nature; more so if we are living in a ‘sms’ kind of World – a World where people are so impatient that they use more short forms and smilies than expressing their and admitting their thoughts in person. 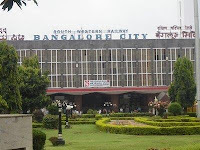 I happened to spend my early days of life in a then developing city called Bangalore. And here is an account of one of my first few memories of being close to nature. This is a brief account of those precious moments when I felt 100% real!!! I used to live with my parents in a rather small house at the heart of Bangalore. Our house owners, who stayed at the ground floor, were very particular about the luscious gardens they nurtured. There was a coconut tree, drumstick tree, a couple of papaya tress and a bunch of plants with colorful flowers emanating fragrance all around. Each morning birds would chirp, crows would caw and bees would buzz. Every week, we used to get something or the other pluck fresh from our plantations. I would have been five years old and this is the first memories I have verdant in my memories. I used to play around the trees and fall down on the grass carpet. I used to stand up and play more; this time more gleefully. I believed that my life is so perfect. 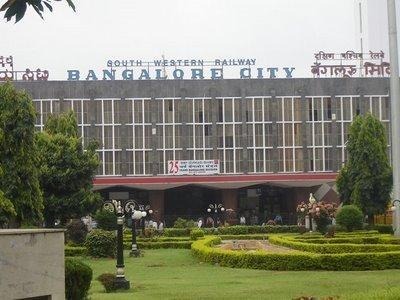 A tiny home which looked like a cute doll’s house and a cute garden, in the heart if a city which is widely acknowledged as the garden city – Bangalore!! Bangalore would still be cool and pleasant. Yet, we were given “summer” vacations. My ammaji packed my cute little doll along with all my favorite dresses. We caught a night train and I slept off on my father’s shoulder. But, when I got up I was in a rather strange place. I was surrounded by new faces. They were all smiling. 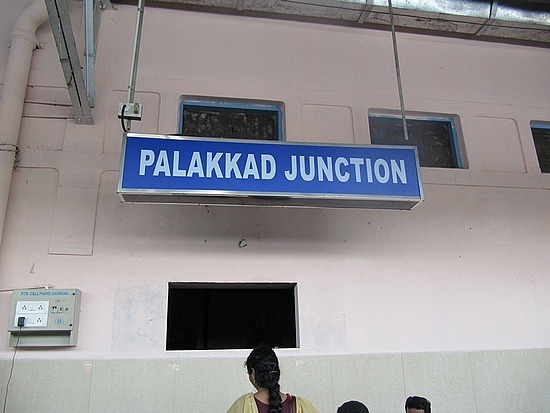 Slowly, I realized that they are my aunts and uncles; we were at my home town – Palakkad, Kerala. 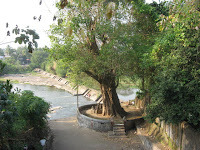 That morning I was taken to a nearby river. It runs through the backside of our home. Therefore it is almost like a private swimming pool. My mother was all brave and insisted me to step into the water. But, I felt scared to death. I could not keep a step forward. I knew that my ammaji and my uncle were holding my hands. Yet, I felt too scared. However, my ammaji sensing my fear made me sit on a nearby rock and splashed water on me. It felt heaven. I thought that the water would be dirty and very cold. On the contrary, it was very clear and warm. 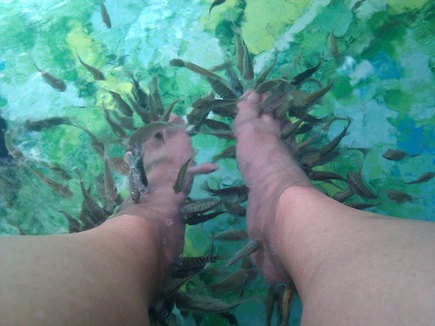 All of a sudden I felt as if somebody was tickling my foot. I started laughing uncontrollably and bent to see who that was. Oops! Actually, those were tiny fishes. I felt scared thinking that those fishes would eat me away. But, my ammaji said that those fishes would only eat the dirt on our foot and make it clean. Her explanation, being a very convincing one, I continued giggling and started enjoying. My ammaji and my uncle started taking me there every morning holding each of my petite hands. As days progressed, I felt as if I have made friends with the tiny fishes and the busy bees. I knew exactly where pits located and where roses bloomed. I continued to use a mug because I was too scared to dive inside. Yet, I positively started deriving pleasure from the routine. 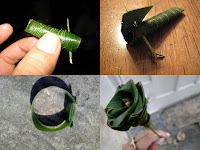 As a part of custom, my uncle used to make me a little whistle kind of thing from the palm leaves. Along with it, he would make me a watch kind of band and tie around my left wrist. 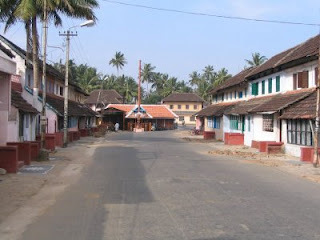 All through the day, I used to run around our huge traditional looking house blowing whistle and acting as if I am checking time in my palm leaf watch. Aww…!!! Our daily snacks in the evenings would consist of home grown mangoes, jackfruits, bananas or papayas. 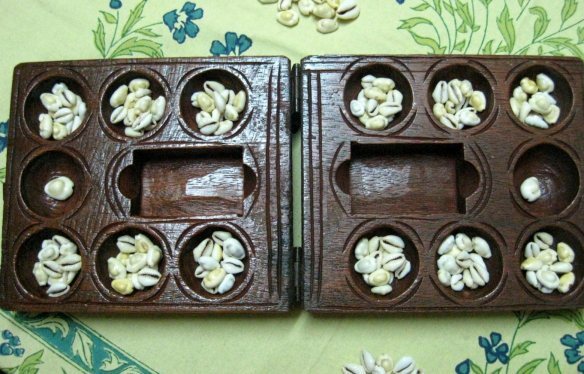 I would play pallankuzhi with my ammaji and two aunts. Sometimes, my uncles would join too. Else, I would play hide and seek on road with my neighbors. On evenings, my ammaji would fix freshly tied jasmines on my hair. It would smell awesome! Thus, my vacations would flutter away…. Our train towards Bangalore used to start pretty early. So, my aunt would pack mouth watering curd rice in banana leaf. As we unwrap it, a sweet smell of curd rice kissed by the banana leaves would hit our nostrils and make us go nostalgic. I would cry until I fall asleep. Ah…!!! When I wake up, I would find myself in a rather little home with a little garden and very little place to play. I would desperately try to bring sound from the whistle made out of the palm leaves. But, the leaf would have torn in many places. My palm leaf watch would also be in a similarly devastated state. I would miss my uncles and aunts. I would miss my fish friends and neighbors. I would swear to myself that I would not feel scared next time and that I would learn swimming. I would tell ammaji that one day I would swim side by side to my fish friends. To play on the road without any fear of being hit by a vehicle or kidnapped by a stranger!!! You were lucky to enjoy all that back then in the natural way.... Loved reading your post the first thing in the morning.